Forward thinking innovative design is a key objective of ours, so when a chance encounter brought this re-development of Cuckooz Nest to our door, we were more than happy to offer our services. A hybrid workspace with an original concept, Cuckooz Nest provides a communal co-working space combined with child day care, offering a place free from distractions but allowing the transition between work and life to be seamless, without compromising parenthood. 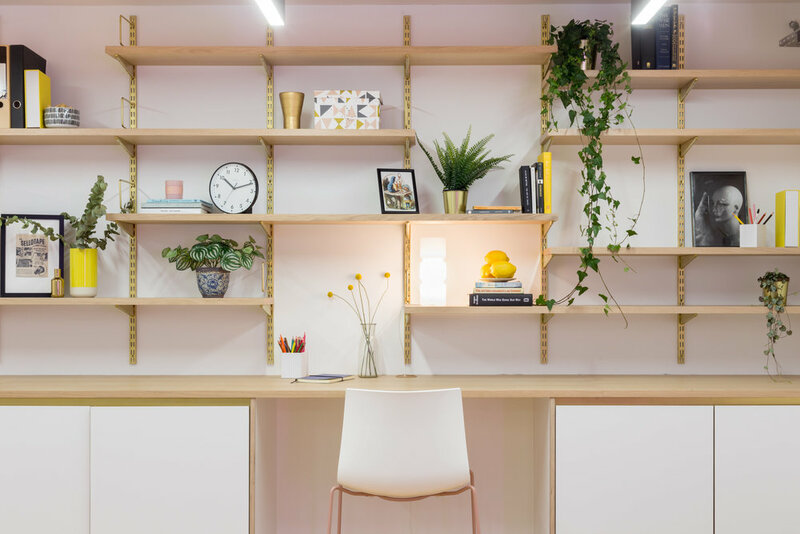 Featuring oak veneered shelves with gold powder coated brackets, this was co-designed with Kinder Design and installed by us for the back wall of the office area, spanning the width of the room. To tie the whole aesthetics of the office space together we used powder coated aluminium in gold for the handle trim, just visible above the cupboards, consisting of white laminated plywood doors and chamfered finger pulls. 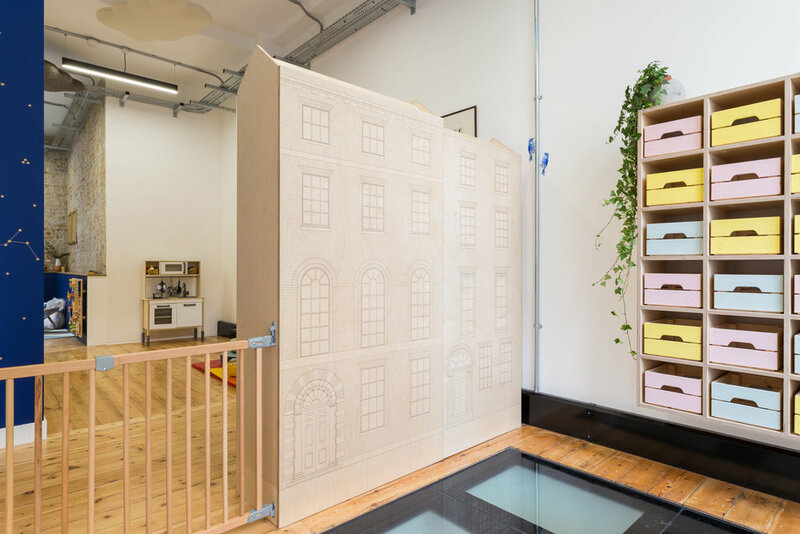 Designed in collaboration with Kinder Design and built by the team, the doll house is made from laser etched birch plywood. Both aesthetically pleasing and functional it creates an entrance area zone, with coat pegs and low level storage.